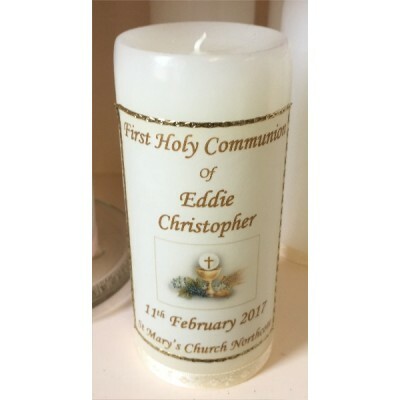 First Holy Communion Candle decorated with Blue Ribbon and silver trtim.. 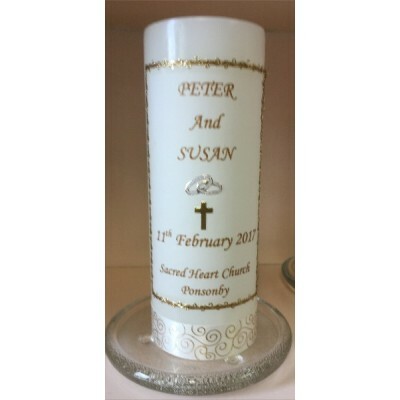 Wedding Candle decorated with Gold or Siver Ribbon and trim, Personal details added Names, Date of Wedding, Church. 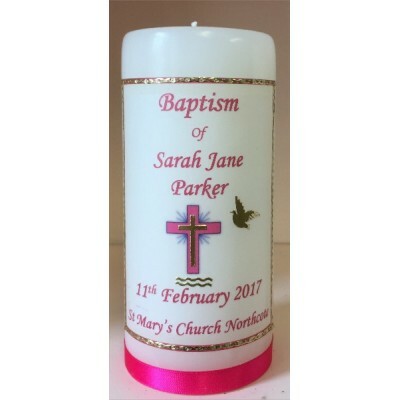 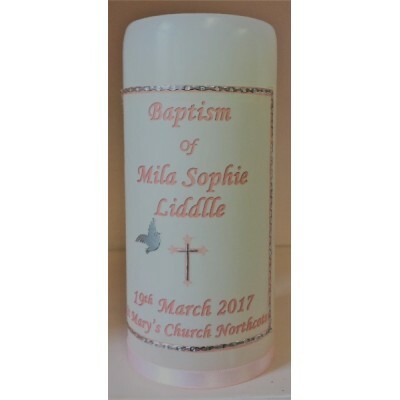 Candle 19cm x 6.5cm ..
Personalized Baptism Candle 14cm in height. 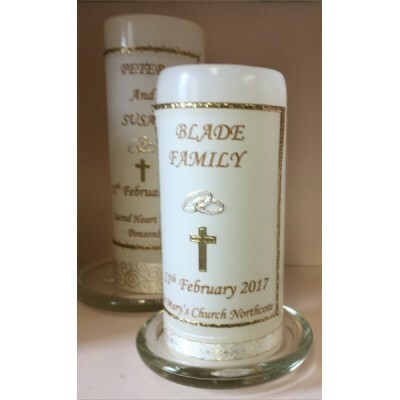 Cerese Ribbon with gold trim. 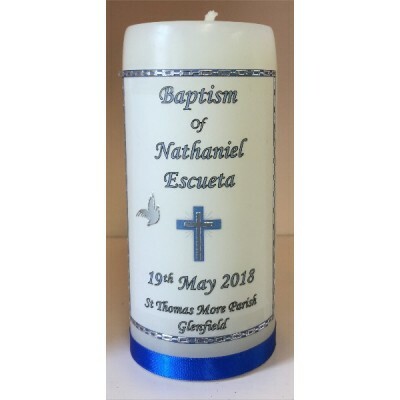 iEmail nformation: :shop@stjosephscentre.co.nz Allow 5 days for delivery..
Personalized Baptism candle 14cm in height. 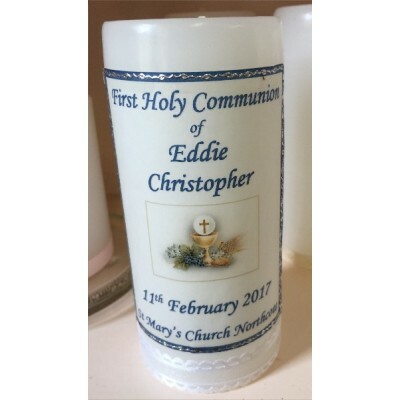 Dark Blue Ribbon with silver trim Email information: shop@stjosephscentre.co.nz Allow 5 days for delivery..
Personalized Baptism Candle 14cm in height. 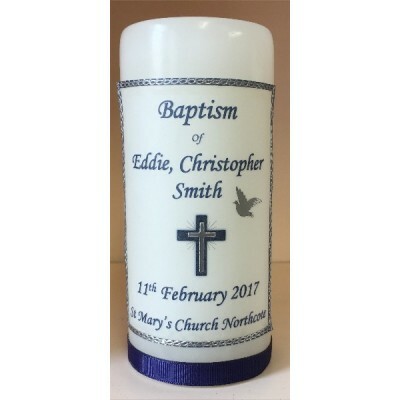 Royal Blue ribbon with blue lettering and silver trim. 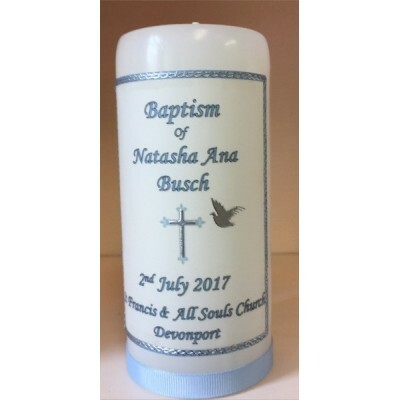 Email information to shop@stjosephscentre.co.nz Allow 5 days for delivery..
Personalized baptism Candle 14cm in height. 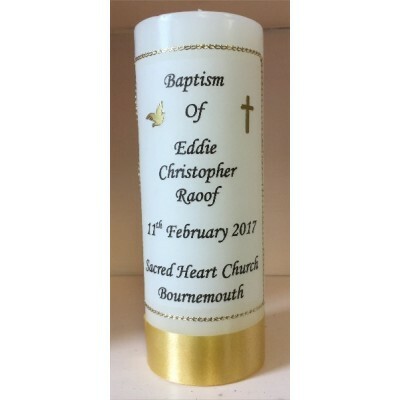 Gold ribbon with gold lettering and gold trim. 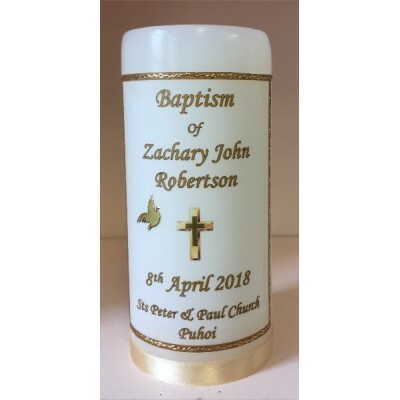 Email information to: shop@stjosephscentre.co.nz Allow 5 days for delivery..
First Holy Communion Candle 14cms Personal details Gold Ribbon and Gold trim..